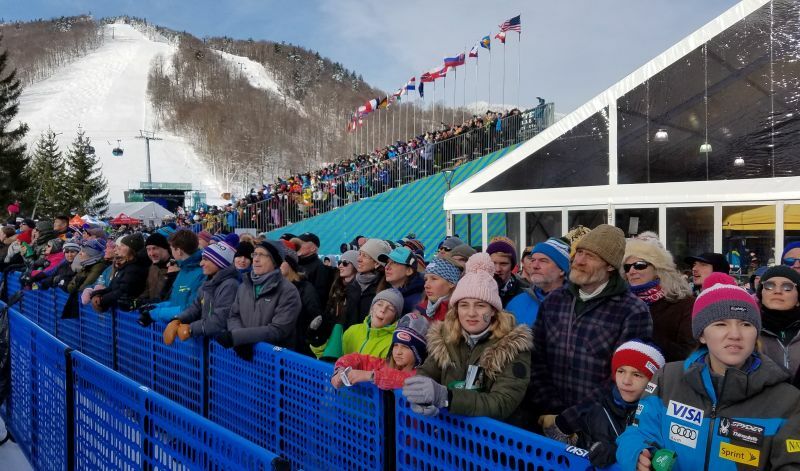 Nearly 40,000 fans turned out to watch the third installment of the "Beast World Cup" over the weekend at Killington Mountain Resort. Mikaela Shiffrin crosses the finish line to win the women's slalom race Sunday at Killington Mountain Resort. Mikaela Shiffrin addresses the media following her World Cup slalom victory Sunday at Killington Mountain Resort. 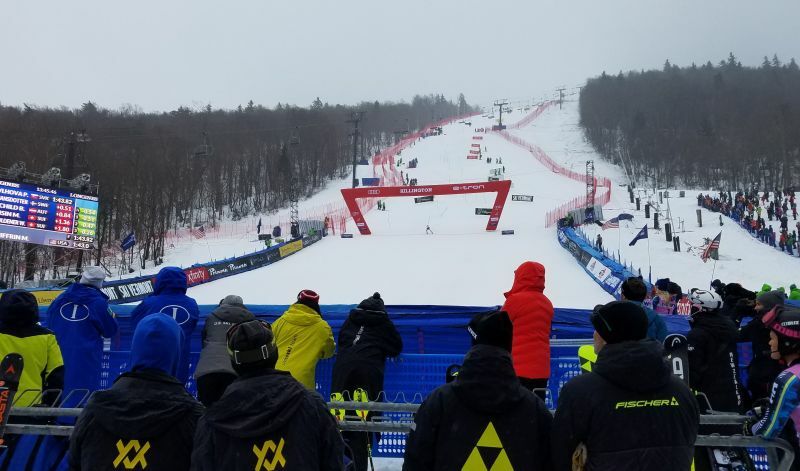 As Mikaela Shiffrin surveyed the setting Sunday at Killington Resort - dense fog shrouding the Superstar course and a wintry mix of precipitation falling from the sky - she knew it would be no cakewalk for the 63 women racing the slalom. "Everyone was going to have to fight," she said. The reigning champ of the women's World Cup circuit then stepped up and delivered yet another knockout blow, winning her third slalom race in as many installments of the "Beast World Cup" at Killington. Shiffrin held the top spot after the first-run challenges of a tricky course set and visibility-stifling fog, then put together the second-fastest second run to win the event by a total margin of 0.57 seconds with a combined time of 1:43.25. Petra Vlhova of Slovakia (1:43.82) and Frida Hansdotter of Sweden (1:44.33) rounded out the slalom podium. 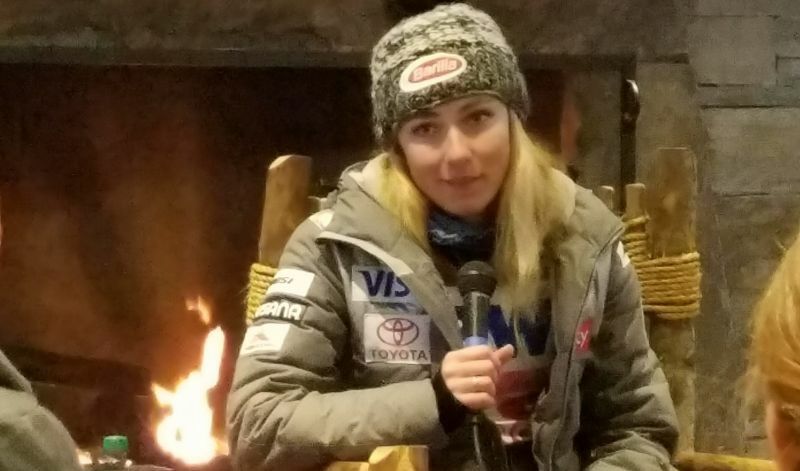 Shiffrin said the raucous "home" crowd - she graduated from Burke Mountain Academy, in Vermont's Northeast Kingdom - was a driving force behind her victory. "I could hear them from the start; it was deafening," she said. "The crowd really carried me down the hill." Killington officials estimated the crowd size at 18,500 for Saturday's giant slalom,15,000 for Sunday's slalom and 5,500 for Friday's opening festivities for a combined attendance of just under 40,000. That number topped last year's record attendance of 34,000. Third-place finisher Hansdotter - the gold medalist in women's slalom at the 2018 Winter Olympic games in PyeongChang, South Korea - said Killington has become one of her favorite stops on the women's World Cup circuit because of the perpetual soundtrack of fans roaring from the bottom of the Superstar course. "It's one of the most fun races because the crowd is amazing and they are cheering for everyone," she said. The "Flip 30" racing format - with the top 30 finishers from Run 1 competing in reverse order in Run 2 - made it particularly difficult for the top competitors who had to overcome a rutted course as temperatures rose, rain continued to fall and the course surface became softer. "The second run was tough because the course was a little bit destroyed," said runner-up Vlhova, who later added that the conditions were no excuse for finishing behind Shiffrin yet again. "If you want to beat Mikaela you have to go to the limit, because she's perfect in every turn," Vlhova said. Sunday's slalom victory was the 34th of Shiffrin's career, leaving her one shy of the World Cup record held by Marlies Schild of Austria. Saturday's giant slalom saw Shiffrin finish just off the podium in fourth place. Federica Brignone of Italy won the GS, ahead of Ragnhild Mowinckel of Norway and Austria's Stephanie Brunner.